HATCHET HORROR: Director Adam Green Speaks Out! TOM SAVINI: The FX Legend Talks Gore! 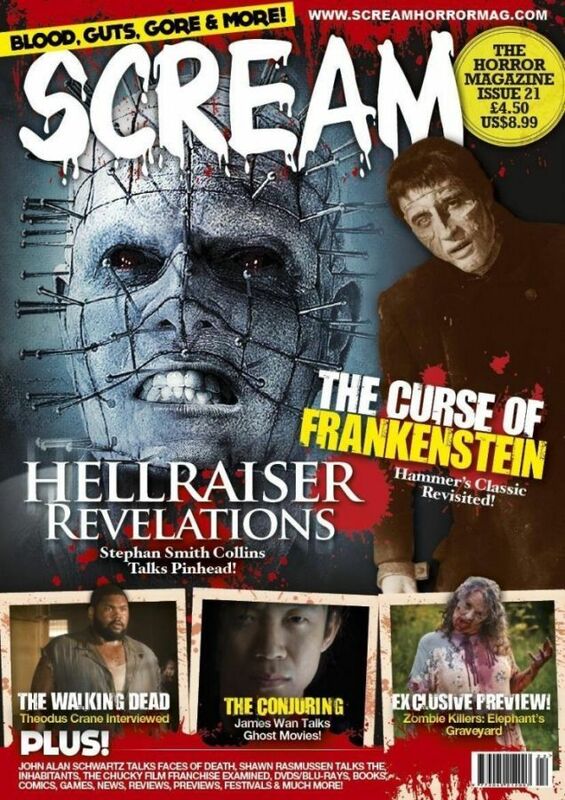 HELLRAISER: Simon �Butterball� Bamford Talks Cenobites! THE SEASONING HOUSE: Paul Hyett Talks Horror! YOU�RE NEXT: Sharni Vinson Interviewed! DRACULA 3D: Director Dario Argento Talks Vampires! I DIDN�T COME HERE TO DIE: Bradley Scott Sullivan Interviewed! EVIL DEAD: Director Fede Alvarez Talks Remakes! ELI ROTH: Horror�s Badboy Discusses His New Projects! COMMUNITY: Director Jason Ford Talks Hoodie-Horror! BARBIE WILDE: Hellraiser 2?s Female Cenobite Speaks Out! MY AMITYVILLE HORROR: Director Eric Walter & Producer Andrea Adams Talk Haunted Houses! SILENT NIGHT, BLOODY NIGHT: Producer Andrew Jones Talks Stalk �N Slash! C. ROBERT CARGILL: The Sinister Interview! PLUS: DVDs/Blu-rays, Books, Comics, Festivals, Games, Photography, Readers Competitions, Previews, News, Reviews & More!